University of Languages and International Studies (ULIS) is one of the seven member universities of Vietnam National University – Hanoi (VNU), a leading higher educational institution in Vietnam. ULIS has well equipped facilities for students and staff, with over 200 lecture halls, classrooms, language labs and a Learning Resource Center with more than 54,000 foreign language books. Students are well looked after in the student apartments which are bulit in the main campus and can accommodate over 1,000 students. Students and staff can enjoy hours of exercise in the newly built 1,000 square meter sports complex which comprises a stadium, a footbal court, basketball courts and tennis courts. 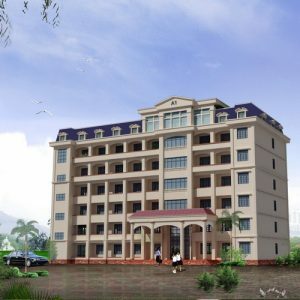 ULIS is originally known as the School of Foreign Languages, founded in 1955 at Vietnam Boarding School which is presently located in Hai Ba Trung District, Hanoi. After five decades of operation and development, ULIS has been recognized as the national leading center of foreign language teacher and specialist education. In 1955, encountering the urgent demand of the national struggle for building and reuniting the country, the School of Foreign Languages was founded in the area of Vietnam Boarding School, currently situated in Hai Ba Trung District, Hanoi, with the mission of educating and training teachers and specialists in Russian and Chinese. In 1958, the School of Foreign Languages was merged into Hanoi University of Education, forming its Faculty of Foreign Languages. In 1964, the foundation of four distinctive faculties of Russian, Chinese, English and French language was decided by the Ministry of Education and Training. In 1967, Pham Van Dong, the former Prime Minister of the Democratic Republic of Vietnam, signed the decision to divide Hanoi University of Education into three teacher education universities under the management of the Ministry of Education and Training, known as Hanoi University of Education No.1, Hanoi University of Education No. 2, and Hanoi University of Foreign Language Education, otherwise referred to as Hanoi University of Education No.3. The foundation of Hanoi University of Foreign Language Education on the basis of four foreign language faculties of Hanoi University of Education was a milestone in the national education of graduates majoring in foreign languages, meeting the urgent need of training qualified teachers and officials with foreign language competence in the context of the national resistant war against the American invasion. In 1993, with a view to renovating the higher education system, the Government of the Socialist Republic of Vietnam decided to establish Vietnam National University, Hanoi by merging three major universities in Hanoi, namely Hanoi University of Foreign Language Education, Hanoi University of Education No. 1, and Hanoi University. As one of the three first members of Vietnam National University, Hanoi University of Foreign Language Education since then has been widely known as the University of Languages and International Studies – Vietnam National University, Hanoi (ULIS – VNU). 1955 founded as Institute of Foreign Languages to train foreign language teachers, practitioners and specialists with two languages, including Russian and Chinese. 1958 became Faculty of Foreign Languages under Hanoi University of Education (HUE) with four languages, including Russian, Chinese, English and French. 1967 became Hanoi University for Foreign Language Language Teachers (separated from HUE) with the main mission was to train foreign language teachers for secondary and tertiary education institutions of the country. 1969 foreign language specialized high-school classes started. 1993 became a member unversity of Vietnam National University, Hanoi and was renamed as University of Languages and International Studies or ULIS-VNU with four facuties of Russian, Chinese, English and French languages and cultures. 2001 Faculty of Oriental Linguistics and Culture was established (renamed as Faculty of Japanese Language and Culture in 2016). 2001 Faculty of Occidential Linguistics and Culture was established (renamed as Faculty of German Language and Culture in 2016). 2009 Foreign Language Specialized School was formally estalished and affilliated to ULIS. 2012 Faculty of Korean Language and Culture was established (separated from Faculty of Oriental Linguistics and Culture). 2016 Division of Arabic Language and Culture was established (separated from Faculty of Oriental Linguistics and Culture). 2016 Faculty of Language Education and Teacher Development was established (upgraded from the Faculty of Continuing Education). 2019 Division of Southeast Asian Languages and Cultures was established.